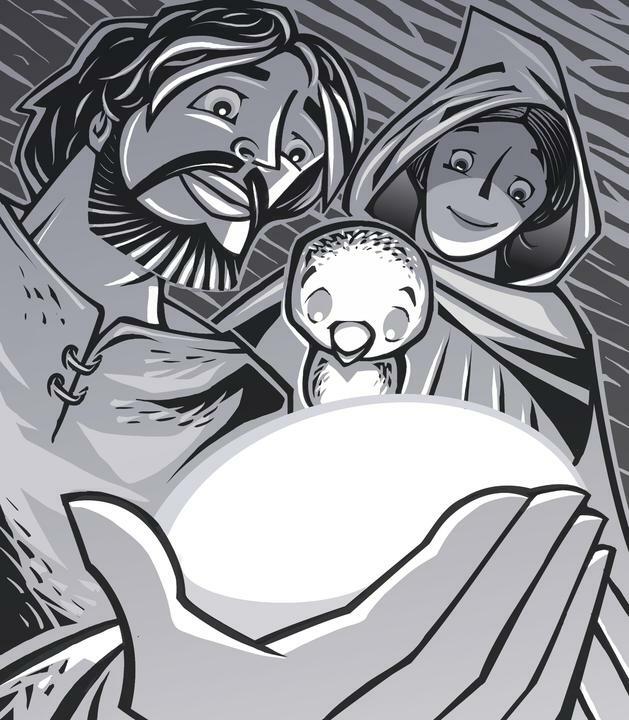 It was an Egg, the biggest Pidge had ever seen, and shimmering like crystal—a Glass Egg! Unable to tear her gaze, she stared at it in wonder, cooing at her reflection in the mirror-like shell. The couple were amused by the pigeon's curiosity over their treasure. “You must wonder, how we came by such an Egg, and mother it like one of our own seed?” said the woman. “Well, little lady, since you've been so considerate of us, and shown such genuine affection for our 'baby', let me tell you. Of course Pidge didn't grasp a word of gobbledygook these two were uttering to each other. However, she was spellbound by the Egg's lucent glimmering … and something else. Was it a faint 'thumping'?